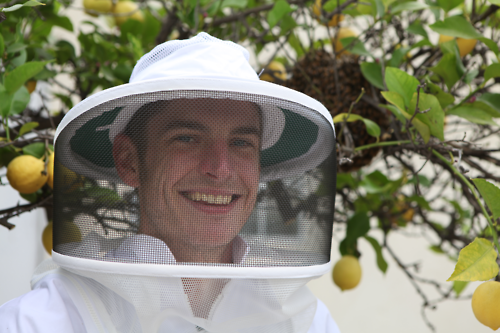 The new Los Angeles Beekeeping Code has passed, legalizing backyard hives… and our intrepid and energetic founders Rob and Chelsea McFarlandthought up a great way to bring us all together and boost our learning about the world of the amazing honey bee! HoneyLove has stepped up and sponsored a roster of some of the finest names in Natural Beekeeping and is bringing them to Southern California!! For a weekend in August (19th to 21st) in Pasadena, you will have the chance to turbo-charge your store of knowledge about bees and beekeeping and mingle with a group of equally bee-crazy folks, for a radically fun, energizing opportunity. You may be wondering if this is something only for people with bees and beekeeping experience—-this is definitely NOT the case. If you have even the slightest exposure to beekeeping, the chance to ask the experts questions, to listen to their presentations and to network with other beekeepers from all over the US, will illuminate your understanding fantastically. But what makes this conference unique from ALL others, is that the venue is Southern California, where the bees and beekeeping are quite different from the rest of the country. Our climate is mild, the bees are active all year ’round, and many of the management practices we use are singular to SoCal. Our speaker line-up is familiar with these singular situations, making the benefits to you especially personal. At the same time, I have to point out that this endeavor involves a lot of up front costs to HoneyLove—bringing in experts from all over the country and making the reservations and preparations for the site entails some serious expenditures. Please join me in supporting them to make this event a success! Your HoneyLove staff is working hard to bring you the BEST in beekeeping education and bee community networking—-with hundreds of HoneyLove members, we know you will have a great time by coming out for the 2016 Natural Beekeeping Conference! See HoneyLove website for details.